Hey Nina! Aaron Reynolds here, author of CARNIVORES. You're Carnivores-inspired lunch absolutely knocked my socks off! I just want to DEVOUR it! Way to go. My mind? Officially blown. 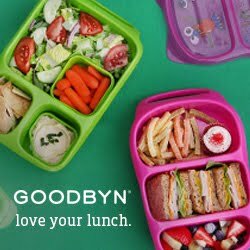 I really like this lunch boxes..Kids always loves some funny and crazy sort of food presentation..They will enjoy eating them ..So this is a beautiful lunch ideas for kids,,,thanks Mamabelly for sharing this article...I'm gonna bookmark your blog ....will come back here to find new ideas.